Liquid formulation, readily absorbed and utilized in the plant with little danger of accumulated toxicity. Total copper use should always be taken into account when calculating how much copper to apply on crops. Copper fungicides and bacteriacides are popular and often agronomically useful when growing horticultural crops, especially under difficult climatic conditions. 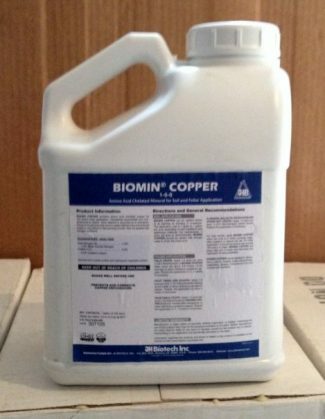 The copper in these products can be absorbed as a nutrient by the plant, and their possible use should be considered in developing a copper fertility plan.